ASTANA – Although Kazakh rock groups aren’t extremely successful in the country and virtually unknown abroad, American and Russian rock music is popular in some regions of the nation. Its fans are true because they think the music makes sense and is immortal. Rock fan Aidar Kontorbayev, general director of a transport company, lived 16 years in Russia and travelled in Europe. 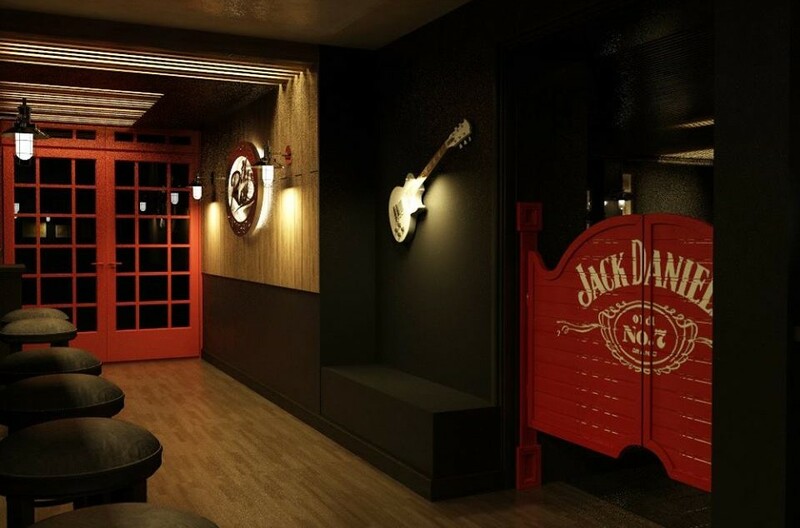 A year ago he opened a rock bar in Astana which is specialised for its fans. “Rock music is popular in Kazakhstan, but only in some regions; to be more precise, in some cities. I would distinguish Karaganda and Almaty, where a lot of rock fans live. For example, Astana is absolutely not a rock city, because it is a city of officials. I can also say that Astana is really a very young city, which doesn’t have its own face and own rock culture yet. In general, rock music isn’t as popular as pop music, because pop music is destined for 15-23 year-old young people, 15-23 year-old students to be more exact. This is the most active and largest part of the population. They listen to trendy hits, but as for me, pop music has only short-lived songs. Such songs live one month and everybody forgets about them very soon,” he said. Kontorbayev discussed American rock and the tributes performed at the bar. “Of course, Russian rock is popular, too. The favourite groups are Smyslovye Galutsinatsii, Kino, Zemfira, Mumiy Trol, DDT and Zhuki. In the beginning we also tried to perform heavy metal at the stage here, but the majority of fans don’t understand such music. That is why we don’t do this nowadays,” said Kontorbayev. He also elaborated on Kazakhstan rock and its fans. “Sixty-five to seventy percent of rock fans are men. They are usually 27-55 years old. The average age is approximately 35 years old. Correspondingly, 30-35 percent are women. They are usually 23-35 years old. Thirty percent of rock fans [at the bar] are foreigners from all over the world. Generally they are from the USA, Europe and Australia. I consider that as of today, rock is music for middle-aged people. Young people listen to the music, but it is uncommon. The exception is young people, who prefer subcultural style, such as gothic metal, punk rock and so on,” said Kontorbayev. Among the rock fans are 25-year-old Kristina Stepanova, a professional translator who lives in Ust-Kamenogorsk. “I am a fan of rock music. I am fond of Russian and American rock. Of course, I try to listen to Kazakhstan groups, too. As of today I know two really good Kazakhstan rock groups – Subkultura and Tishina,” she said. Nikita Alexeyev, a 28-year-old dentist, is also a rock fan. He studied in Moscow for seven years and returned to his hometown of Ust-Kamenogorsk four years ago. “I began to listen to rock music as a boy. My parents say that I had a friend and his father was a fan of rock music. Listening of this music at my friend’s home affected me. Maybe it was unwitting when I was a boy, but it is absolutely conscious now, because this music makes sense. I really like the texts of rock songs. My favourite rock groups are American Metallica, German Kreator, Russian Ariya and Kazakh Holy Dragons and Subkultura. I play a guitar and perform some of my favourite songs when I have free time and am in a good mood,” he said. Kontorbayev noted the reasons why rock music resonates with its audience. “Rock music has been popular since the 1960s with the Beatles. After that we had Soviet rock and Russian rock. We lived in that time and this music indicates all the trends and our life. For example, there were periods of change in the 1980s and anxious times in the 1990s. This music saves part of our memories. That is why it is so important and immortal. This music is 100 percent true. Maybe it is sadder than pop music, but it is honest. In general, I am sure that rock music will get its fans for a long time, because young people who don’t listen to it now will do it later. Because when you are getting older, you begin to value real music,” he said.